Fabián Barba studied dance in Quito, the capital of Ecuador, as well as at P.A.R.T.S. in Brussels. Traveling back and forth as an artistic nomad, the performer became more and more aware of a hierarchical order that comes with the geocultural organisation of reality. Contemporary dance outside a western context often seems to outdated. Or is there mere to it? Without being aware of it, traveling from Quito to Brussels I changed paradigms: not only I invested myself in a different kind of technical training, but I was initiated into commerce with other ideas and I started pursuing and negotiating other ideals. If through my education in Quito I had become part of a dance culture, in Brussels I became part of another one. To recognize the existence of different dance cultures and one’s inscription to them through training and education doesn’t necessarily pose a problem. The problem appeared for me the moment when every attempt I made to relate them seemed to encounter a hierarchized field in which the dance scene in Ecuador seemed to be old-fashioned in relation to the dance scene in Brussels, an anachronism. I tried to approach these questions with the creation of a performance: a personal yet collective history (apych 2012). 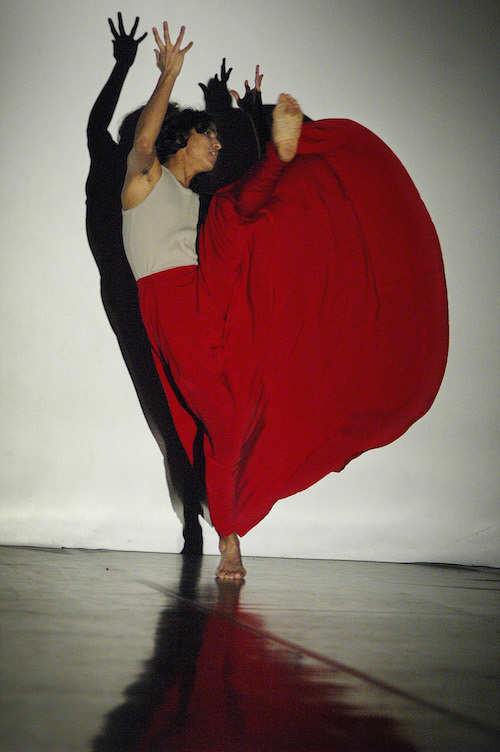 One of the dances I was considering for this project was a short solo created by my former dance teacher Kléver Viera for my colleague Yolanda Endara (Yoli’s solo – 2003). Nine years later, during the rehearsals for apych, my affinity for this dance remained undiminished; the pleasure of dancing this solo as I retrieved it from the video surfaced to my skin. Nevertheless, I noticed a gap between this dance and my present situation as a dancer in Brussels. Notwithstanding the familiar pleasure and enjoyment, there was a distance that had installed itself, Yoli’s solo seemed out of place, or old-fashioned. It was as if traveling outside of what I have come to recognize as a center for contemporary dance (Brussels) could be perceived as a traveling back in time. Can travelling geographically be perceived as travelling back and forth in time? No, I don’t think that the time marked in the calendar can account for this transformation from “present” to “past”; it was the travel from Quito to Brussels, the change from one dance world to another one. The dance tradition into which I was inscribed through schooling in Brussels constituted my present now. But did it necessarily have to transform my previous experience as a dancer into “the past”? Did it have the right to deny the contemporaneity of the dance world I had come to know in Quito and with which I still entertain affective and professional relations? Why did I perceive my concurrent inscription into two different dance traditions as a struggle between that which belonged to “the present” and that which belonged to “the past”? Why is it difficult to recognize two simultaneous dance scenes as contemporary to each other? We can observe how the frontiers between what properly belongs to “the past” and what to “the present” are being guarded also in other cases than the one I have described. In Hamburg in 2009 I attended the presentation of a dance performance by a choreographer working in Colombia. At the end of the performance I overheard a curator of a renowned Western european festival saying “that looked very 80s.” Likewise, in her article “Politics of Affection and Uneasiness” (2003), philosopher and performance scholar Bojana Kunst, extensively talks about the (deceptive) reception of Eastern European performance art as something already seen from the viewpoint of Western European art programmers, as a déjà vu. For Chakrabarty, “to critique historicism in all its varieties is to unlearn to think of history as a developmental process in which that which is possible becomes actual by tending to a future that is singular” (249). Put otherwise, to critique historicism “is to learn to think the present –the ‘now’ that we inhabit as we speak- as irreducibly not-one” (249, my emphasis). It is precisely the historicist understanding of history as a global single linear progression that underlines the idea according to which the present of Ecuador could be understood as the past of Europe. On a broader level, “to learn to think the present – the ‘now’ that we inhabit as we speak – as irreducibly not-one” and to dismantle its practical corollaries is something more difficult to do. The very term “contemporary dance” is problematic22I am elaborating on the denial of contemporaneity after the notion of denial of coevalness developed by Johanes Fabian. I have opted not to use Fabian’s notion following the critiques of it advanced by Berber Bevernage and Rolando Vázquez (personal conversation). Both suggest that, despite the value of Fabian’s contribution, Fabian considers the contemporary as a singularity and, what’s more, a singularity that is defined by Western premises. The creation of coevalness would thus be limited to “granting” or “including” into that Western contemporaneity practices and populations that have been formerly excluded. Both Bevernage and Vázquez point to the need of critiquing that very idea of the contemporary. To talk of the denial of contemporaneity instead of the denial of coevalness does not solve the problem, but it tries to indicate a change of perspective. The important is not the granting or recognition of contemporaneity (which already bespeaks of a differential of power – who has the power to recognize or include to whom? ), but understanding how that contemporaneity is being defined and why it has become an important question at all. I would partly agree with those who respond that the contemporaneity of a work of art guarantees a critical response to contemporary events and situations. However, as I will try to show, I do not think that a critical response-ability is an exclusive attribute of contemporary dance (as a genre) while there is the risk of falling into the trap of an empty quest for formal innovation for the sake of reaching towards a historicist ideal of contemporaneity.. On the one hand contemporary has a label function. It designates a kind of dance; we can talk of contemporary dance as we talk of modern dance or ballet, or hip-hop or ballroom dances or folkloric dances… On the other hand, though, the adjective “contemporary” refers to something belonging to or occurring in the present, in the now. “Contemporary”, when used as an adjective, could be used to describe any kind of dance practiced in the present (ballroom dances, street dances, etc.) but it happens that these dances are not called contemporary dance. As I see it, contemporary dance, at least nominally, claims the present for itself and excludes other kinds of dance from it. In my understanding, contemporary dance not only says that it belongs to the present, but that the present belongs to it; contemporary dance places itself in the “now,” it colonizes the “now.” Nominally then, modern dance wouldn’t be contemporary, it risks thus being placed as part of an overcome past. The adjectives modern and contemporary might be used as synonyms in several contexts. However, a prevalent (historicist) way of assessing dance based on historical periodization tends to posit modern dance as previous to contemporary dance, as already a remnant of the past.33A similar discussion in relation to the ambivalence of the term contemporary in relation to contemporary art can be found in Heinich, “Pour en finir avec la querelle du contemporain.” If we would say that the dance I practiced in Quito is modern, that wouldn’t be a problem by itself. The problem arises when the contemporaneity of modern dance is denied. Talking about modern and contemporary dance as genres, it would be possible to describe their differences through an analysis of their technical, esthetic and philosophical premises. From my perspective, what could mark the decisive difference between these two dance traditions is the idea of a subtext. I understand the subtext as an (sensorial/sensual/emotional/affective) intensity that is part of the movement, not an addendum44In relation to this Katharine Sehnert and Irene Sieben, two dancers who studied in the Wigman school in the late 50s and early sixties, and with whom I worked during the creation of AMWDE, comment: “It is not about emotions. There are emotions. It is different what I think a feeling looks like to what the body is doing. [At the Wigman School] we didn’t work on emotions” (Sieben, my emphases). “Each movement has its own expression. It doesn’t need to have a subtext. It is a subtext” (Sehnert, my emphasis). Conversations with the author (see Barba, “Impure Transmissions.”). In pedestrian movement, a physicality that was introduced by the Judson Church in the sixties and that I would suggest is archetypical to what have come to be understood as contemporary dance, there is a confessed effort to strip this intensity off the movement, as if it was something added, accessory, extraneous to the dance. There are at least two instances that challenge the attempt to create a sharp distinction between modern and contemporary dance based on a physicality that channels a subtext or not. The first one is the critique made by left-wing commentators and dancers to Graham’s work in the early 1930s as being too abstract and formalist, lacking the emotional intensity that could move the audience into taking political action (Franko 38-42). The second one is an account of Trisha Brown in which she mentions how she felt “emotion and internal commotion while performing those early deductive, systematized, withheld pieces. [How she] experienced a rich subjectivity, whereas on the outside the dance looked objective” (Goldberg 6). These examples challenge the notion of an absolute difference between modern dance (with its perceived “emotionalism”) and post-modern or contemporary dance (with its stated “objectivism”). Indeed, what we might encounter once we approach a specific work in the richness of its complexity is mixing, tension and confrontation of different premises inherited from different dance traditions or lineages. Thus, I notice that it would be more interesting and constructive to try and dismantle these distinctions, to show its cross-pollination, to show the porosities of its borders and the generative exchange between different dance traditions. However, I have tried to enunciate this distinction, I have talked as if there was a clear-cut distinction between modern and contemporary dance, because in my view it often remains operative in concealed and detrimental ways.55This distinction might remain operative, and become useful, wherever we can find the “ ‘desire to wipe out whatever came earlier,’ so as to achieve ‘a radically new departure, a point that could be a true present’ ” (Marshall Berman quoting de Man – quoted in Chakrabarty 244). This desire might structure different levels of dance-related practice and discourse. This desire might become evident in small expressions like “that looked 80s” or “it is not any longer about…, but about…”; in the curatorial eagerness to find “what’s coming next”; in the creative constraint of producing “something that has not yet been done” or in the praising of a performance as “very original.” I have strategically used the vocabulary that generates categories that lend themselves to hierarchic classifications in order to make visible the temporal discriminations it sustains. As I try to dismantle and overcome this dichotomous distinction (modern/contemporary) I acknowledge the need to understand how it operates and the specific effects it has in the construction/construal of reality. The relevance of the discussion of the contemporary in dance, which rests upon epistemological productions, is political. The dismissal of a dance practice as not contemporary makes it invisible within the “contemporary” dance field; if a dance practice is not greeted as contemporary dance (in the ambiguity of the term) then it has no place, agency or relevance within the contemporary dance scene. Following Rolando Vázquez’s analysis in his article Modernity Coloniality and Visibility – The Politics of Time I recognize that “invisibility is tantamount to de-politicization” where the political is understood “as the coming together to constitute a public space” (np). Allow me to approach this argument through a concrete example: when I was studying dance in Ecuador I used to say, as many of my colleagues by then, that I was doing contemporary dance. It is only after my studies in P.A.R.T.S. and my familiarization with the contemporary dance world gravitating around Brussels, that I recognized the dance I used to practice in Quito, and many people do nowadays, as modern dance. If we want to step beyond these dichotomous distinctions, which mirror a certain topology, an authoritative answer as to what can be considered modern and what contemporary dance is out of the question insofar it would repeat these distinctions and underlying topological hierarchies. If there is debate upon these questions, if there is a difficulty to bring them down to closure, it is precisely because what is being contested is the political constitution of the public space called contemporary dance. The kernel of the problem therefore is to understand the political stakes of those definitions, and to consistently and continuously pose a different set of questions with regards to them: who produces those definitions? Where? Supported by which institutions? For whom? On the base of which inclusions/exclusions? 1) I understand a geo-cultural location as a cultural horizon (a set of values, philosophical assumptions, discourses, practices, etc.) forged through a specific local history that is grounded on the materiality of national or regional institutions, funding, cultural policies and laws. When, in what follows, I talk about the West, I will be approaching it as a geo-cultural location: not as a well-defined territory, but as a matrix for the material and philosophical re-production of culturally specific practices and discourses. 2) The interaction between local histories and global tendencies – what Mignolo analyzes as the relation between local histories in which global designs are produced and local histories in which global designs “have to be adapted, adopted, transformed, and rearticulated” (278) – needs to be investigated in order to understand the unequal dynamics of power in the interaction between different cultural horizons and the phenomenon of cultural colonialism. I might not encounter much resistance if I say that contemporary dance (as a kind of dance produced for and by the theater as a physical and institutional space) has become an international artistic practice. There are people practicing this kind of dance in South and North America, Europe, Africa, Asia and Australia66This is not to say that there are no important differences given by those different cultural backgrounds. For a discussion of the relation between modern dance in Ecuador and modern dance as practiced in the United States or Europe, see Barba (“Impure transmissions”).. Contemporary dance might be easily acknowledged as a global artistic practice. However, and paraphrasing Chakrabarty, I think that contemporary dance might not be simply global but rather it might have become global over time, originating in one place (Europe and the United States) and then spreading outside it. This is a hypothesis worth of careful consideration. The implications of this proposition are multiple and important. To imply that contemporary dance originated and is rooted in a Western cultural horizon would mean to say that contemporary dance is a specific kind of Western dance – even when practiced in “non-Western territories”; contemporary dance would thus be defined not only on temporal or historical terms, but also on a geo-cultural one. Dance productions grounded on other cultural horizons (non-Western dances) would thus be, ipso facto, not contemporary dance (or not fully contemporary). This urges us to inquire whether in a historicist understanding of contemporary dance there is a perpetuation of the equation of the West with the contemporary (the present), and of the non-West with the past (an anachronism). Ultimately, this question would ask if the global spread of contemporary dance, its globalization, entails also a process of westernization as a specific kind of cultural colonialism. The perils we would encounter in approaching this question are many. First, we would need to avoid reinforcing the dichotomy West/non-West insofar as it creates clear boundaries that hide already existing spaces of intercultural exchange. The dichotomy West/non-West, just as the dichotomy modern/contemporary and past/present should not be approached as ontological categories, but as epistemological constructions. If I use those categories it is only to understand how they effectively operate in the construction of a certain order of things, of an image of the world and the differentials of power they sustain.77For an analysis of the constructed yet effective dichotomy West/non-West see Coronil 1996. Second, we would need to approach this question through concrete cases as to avoid generalizations. The way contemporary dance might be practiced and negotiated in different geo-cultural locations might respond to particularities that need to be carefully considered in order to fully understand how Westernization might operate through contemporary dance. Third, the globalization of contemporary dance in different locations might encounter resistances and appropriations that need to be acknowledged and that could trouble the understanding of its global spread as an act of unidirectional imposed foreign colonialism. The global spread of Western practices and institutions does not take place over passive populations. The agency and response of non-Western populations need to be acknowledged and strengthened as they resist, appropriate and/or transform Western artistic practices. In this sense, I am thinking of contemporary dance as a field where multiple forces, pulling and pushing in different directions, conflict and interact with one another. The colonial dimension in the global spread of contemporary dance is one of those forces and the one I am trying to make explicit here. To have a fair and complete picture of this political play of forces, we would also need to take into account forces of resistance, appropriation, acclimation, etc. And fourth, contemporary dance, as an artistic practice, cannot be said to be by itself colonial or anti-colonial. It cannot be reduced to something that can be univocally condemned or praised. 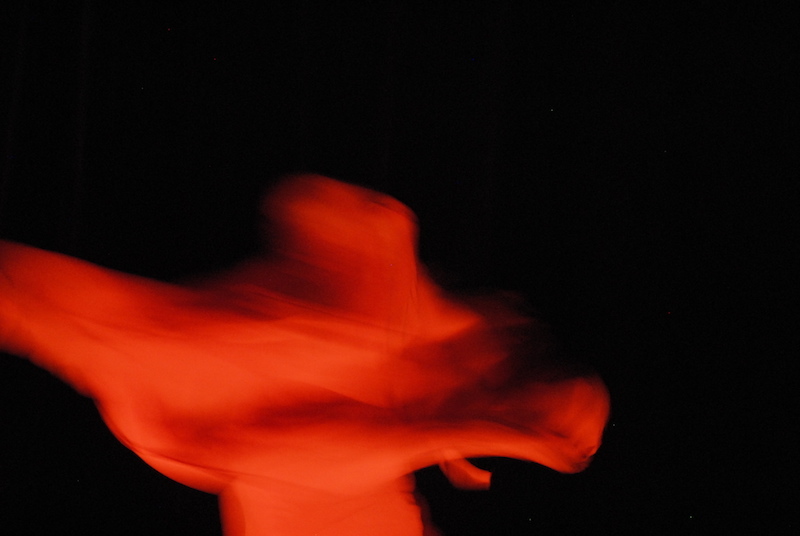 Contemporary dance, as an artistic practice, can operate either as tool for emancipation and critical thinking (as a means to suspend and challenge established values and the status quo88The capacity to critique, challenge and transform established values and the status quo, however, should not be considered as an exclusive prerogative of contemporary dance. In Ben Yakoub and Barba (“(Re)framing the vocabulary in performing arts in Flanders”) we discuss four possible meanings for the word “contemporary” as it is used in contemporary dance: 1) as a belonging to the same chronological present (the “now”), 2) as being responsive to the context in which the artist works and lives, i.e., as a critical attitude towards established conventions and the status quo, 3) as an imperative for constant innovation or 4) as an artistic genre. When these four meanings conflate into one under the umbrella of “contemporary dance” (as a genre), different problems arise. 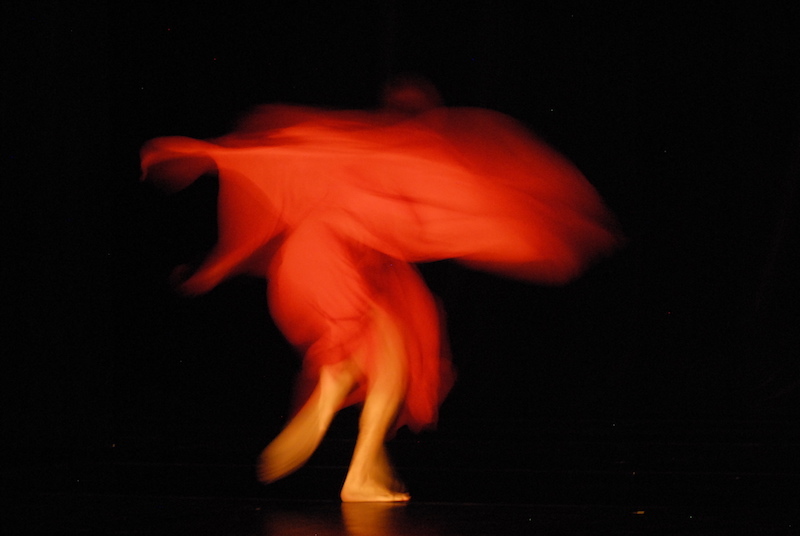 The first one is the assumption that contemporary dance is the best-suited practice to maintain a critical attitude towards conventions and the status quo, as if other cultural practices (e.g., traditional dances) would not be able to engage in that kind of criticality and responsiveness. The second and related problem is that this kind of criticality is attached to a modern temporality that equates history with a singular and unidirectional development towards a future that calls for constant innovation; critical attitudes and innovation being thus confused as one same thing. Other ways of relating to history might thus come to be seen as retrograde or conservative, foreclosing the possibility of bringing forth a different philosophy and politics of time, for example one that rescues memory as a site of struggle. As stated by Vázquez, the rescue of memory is not necessarily a conservative move. For him, the possibility to experience the past (i.e., not to reify it) is not essentialist, but rebellious. ), while it can also be used, most of the times unwittingly perhaps, as a tool for furthering cultural colonialism. To ask about the Western genealogy of contemporary dance and its globalization is to ask about the political economy of this artistic practice, the institutions that support it and the epistemological constructions that build its ground. It is to ask about the production and circulation of contemporary dance at a global scale. Approaching this question would thus help us to understand, for example, why it is that choreographers and dancers based in the periphery of the Western world (as Ecuador) have not managed to expand their field of influence and recognition beyond regional borders, different from dancers and choreographers based in Europe or the United States whose work has been presented and recognized at a global scale. Striving for recognition and influence in this order of things is, of course, to accept this order of things; it is to conform to the dominant rule of globalization. If globalization takes the form of, or operates as, a homogenizing and universalist project (Estermann 33), then peripheral regions of the Western world are doomed to lose the game from the start, as entering the game requires the erasure of their cultural particularities and difference in the quest for inclusion, assimilation and recognition. While it is important to understand these dynamics of power, it is also important to challenge and question this order of things. Indeed, a different perspective and project can be embraced to influence on the processes of transnational and transregional connectivity and exchange at a planetary scale in which contemporary dance might participate. As I hint towards the Western genealogy of contemporary dance, I suggest that the basic premises that have constituted it are grounded on philosophical assumptions forged within a Western cultural horizon and history. Among those basic philosophical assumptions, a distinctly western/modern temporality (unidirectional and progressive linearity; sharp distinction between past, present and future) plays a central role. Even when the practice of contemporary dance has challenged this modernist understanding of time (the interest on re-enactment is symptomatic of this), I would venture to say most of the times this critique of modern temporality might be rooted on Western philosophical critiques of modern temporality. Following Mignolo we could say then that contemporary dance’s critique of modern temporality is an internal or, in Estermann’s vocabulary, a mono-cultural critique. The grounding of this critique on Western epistemology has to be made explicit if the discussion of the politics of time in contemporary dance pretends not to be enclosed and limited to a prominently Western debate – or to a debate largely determined by Western categories of thought. This is all the more relevant considering the global reach of contemporary dance. If this globalized notion of contemporary dance is not to remain mono-cultural (i.e., a neo-colonial expansion of a predominantly Western practice) it should open up and take into account different cultural horizons and heritages. The questions I have formulated above, then, might now take an added nuance to our ears: who is defining what is contemporaneity? From which cultural horizon? What relations does it establish with other cultural horizons? Strengthening or challenging which differentials of power? Potentiating heterogeneity or buttressing homogenization? If we want the global contemporary dance scene not to remain a veiled mono-cultural (i.e., neo-colonial) practice, we need to pay attention not only to the encounter of Western and non-Western cultural productions, we also need to pay attention to the (Western and non-Western) philosophical assumptions in relation to time and the contemporary and, ultimately, to question the very primacy of such a temporal category to define and judge the value of the artworks: the importance and centrality given to the contemporary might already be distinctively Western. Earlier versions and parts of this text appeared in Handbook of Dance Re-enactment and in Documenta. • Barba, F. (2017a). Quito-Brussels: A Dancer’s Cultural Geography. Handbook of Dance Re-enactment. (M. Franko, Ed.). New York: Oxford University Press. • Barba, F. (2017b). Impure Transmissions: Traditions of Modern Dance across Historical and Geographical Boundaries. Transmissions in Dance (werktitel) (L. Main, Ed.). Londen: Palgrave Macmillan. • Chakrabarty, D. (2000). Provincializing Europe: Postcolonial Thought and Historical Difference. Princeton: Princeton University Press. • Coronil, F. (1996). Beyond Occidentalism: Toward Nonimperial Geohistorical Categories. Cultural Anthropology, 11:1, 51-87. • Estermann, J. (1998). Filosofía Andina, Estudio intercultural de la sabiduría autóctona andina. Quito: Abya-Yala. • Franko, M. (1995). Dancing Modernism/Performing Politics. Bloomington en Indianapolis: University Press. • Fabian, J. (2002). Time and the Other; How Anthropology Makes its Object. New York: Columbia University Press. • Goldberg, M. (1991). Trisha Brown’s Accumulations. Dance Theatre Journal, 9:2, -7, 39. • Kunst, B. (2003). Politics of Affection and Uneasiness. Maska, 5:6, 23-26. • Mignolo, W. (2012). Local Histories/Global Designs: Coloniality, Subaltern Knowledges and Border Thinking. New Jersey: Princeton University. • Vázquez, R. (2010). Modernity Coloniality and Visibility – The Politics of Time. Asking We Walk (C. Kumar, Ed.). Bangalore: Streelekha Publications. Fabián Barba is a dancer working in Ecuador and Belgium. Through embodied practices, historical research and ongoing conversations they question the relation between coloniality and contemporary dance.